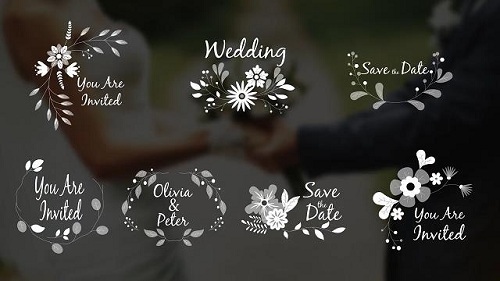 7 Wedding Ornaments With Flowers is a versatile template for After Effects. This pack contains 7 stylishly designed and elegantly animated lower thirds. A great way to enhance the look and feel of your films, movies, TV shows, commercials, presentations, slideshows, promotions and upcoming event videos. Impress your audience with these clean and creatively animated lower thirds. No plugins required.